November is National Diabetes Month for humans, but due to diabetes becoming more prevalent in domestic dogs, Austin Veterinary Diagnostic Hospital considers this month a call to action for dog owners, as well. Diabetes mellitus is the most common form of diabetes in dogs, and it can be a difficult and deadly disease. Prevention is possible, and early detection and management are key. How will you know if your dog is at risk for diabetes? Genetics certainly play a role, with some breeds being more predisposed. These breeds include Poodles, Bichons, Miniature Pinschers, Schnauzers, Samoyeds, Australian Terriers, and Siamese cats. 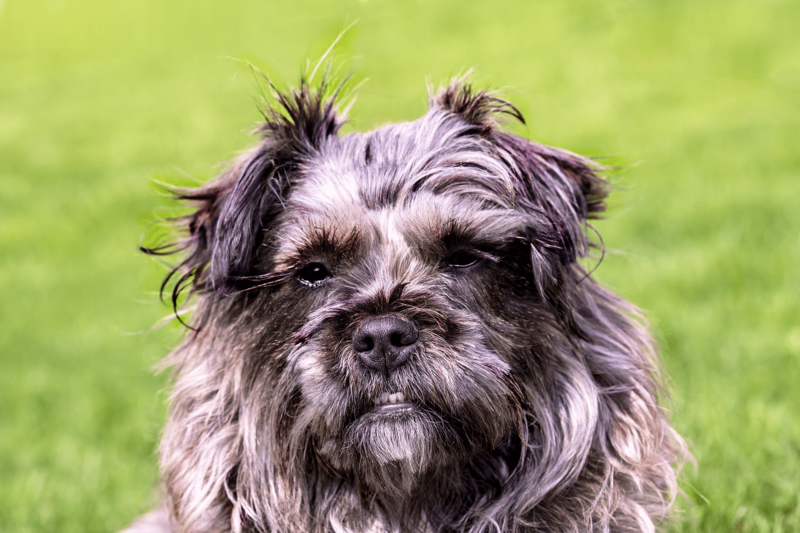 As online search analytics have revealed, there are a growing number of people who are confused as to whether diabetes can affect crossbreed dogs or whether the disease is exclusive to pedigrees. In reality, many mixed breed dogs are also afflicted with diabetes. Obesity is another important risk factor for developing diabetes, and almost all dogs diagnosed with diabetes present to their veterinarian as overweight. Since there are other disease processes that can present these symptoms, your veterinarian will rely on a physical examination, bloodwork, and other tests to correctly diagnose. Most dogs are middle-aged when they acquire diabetes. Either their body stops producing enough insulin (the hormone that regulates blood sugar levels), or the insulin produced is not effective. Type 1 diabetes is most commonly seen in dogs, and requires lifelong insulin supplementation, usually in the form of twice daily injections under the skin. Cats more often have Type 2 diabetes, where insulin may still be made by the pancreas but is ineffective. Cats are also managed with daily insulin injections. Another key component of diabetes management is the dog’s diet. A diet low in carbohydrates that is specially formulated for diabetic dogs helps keep their blood sugar levels in an appropriate range throughout the day. When it is not well-managed, diabetes can cause health complications as this disease will make your dog more prone to certain infections and metabolic consequences. Diabetes can be a frustrating disease for dog owners and requires a great deal of commitment, but if it is well-managed both owners and dogs can still have good quality of life. Dr. Kneupper shares helpful tips for dog care in a monthly column featured in the Oak Hill Gazette. The community is invited to take a tour of the hospital to meet the friendly staff, including Dr. Sarah. Please call (512) 288-1040 for more information or to schedule an appointment.